In last week’s blog I discussed how good leaders are able to be successful without relying on the power they have over people who report to them. But if we remember that leadership is the capacity to influence, then a leadership skill useful to everyone is the ability to influence their peers and their own leaders. You can find great books and training programs to build this skill, but here are the basics of influence in organizations. If you want to to tell anyone anything, they won’t hear you unless you engage them first. Engage first, tell second is the ‘golden rule’ of influence. Showing the data or presenting the facts without telling someone what conclusions to draw (being objective) is called rational persuasion. It can work across organizational levels, but it’s less effective during times of organizational change or when there is fierce competition for resources. If you’re going to “let the numbers speak for themselves,” you’re counting on people being interested in the numbers and interpreting them as you do. In times of organizational change, and when we have to compete for finite resources, we often do things in addition to our usual work processes or outside of our usual roles to get what we need. This behavior is the definition of politics in organizations. It can be helpful and ethical, or it can go too far and be destructive. If you focus your extra efforts on building healthy, mutually supportive workplace relationships and on collaboration, you’re practicing positive politics. If you withhold information, mislead people, misrepresent yourself and others (lie), or advertise powerful relationships you might have with senior leaders, you’re practicing negative politics. A few blogs ago I discussed how most people want to do good work and get along with others. Most people also want to help others. But none of this happens when relationships sour. Whenever we are building a relationship with someone we are often friendly toward them, acknowledge things that they are proud of, and take an interest in what’s important to them. That’s what nice people do when they are being nice. Research shows that success in organizations is often achieved through building relationships in this way. In most organizations, believe it or not, nice, likeable people tend to be most successful. They want good things and usually get what they want. When I wrote about establishing credibility by being reasonable, I said that we are reasonable when we respect the opinions of others and are open to having our minds changed. To do this, we need to engage in meaningful consultation and collaboration. More cooks don’t always spoil the broth. When we let others help us we often still get what we want, just not how we expected. The top contributors in any organization are the ones who transcend their place on the organizational chart to influence their peers and leaders. They understand how to present data and facts, the power of relationships and of being reasonable. 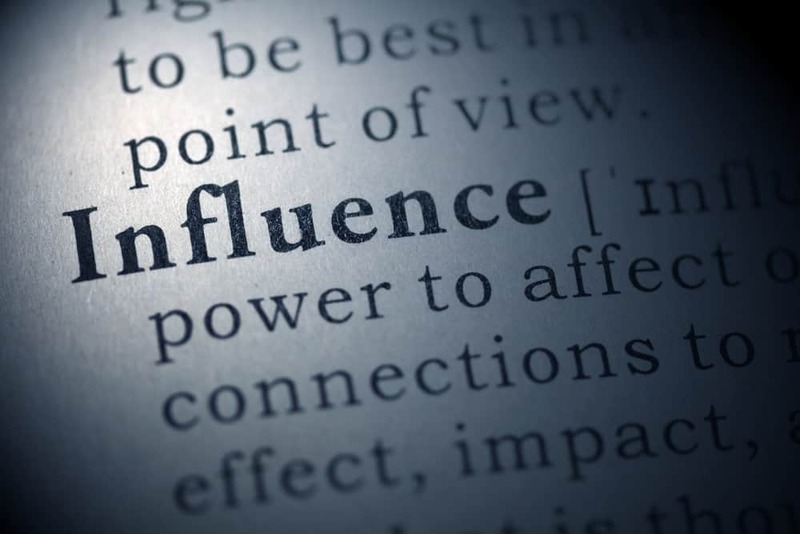 Research shows that applying the right combination of influence strategies is most effective. It’s the one leadership skill everyone needs.